Switch, operator of the big Switch SuperNap data center campus in Las Vegas, has secured the Uptime Institute’s Tier IV Gold certification for a second data center on the campus, SuperNap 9. 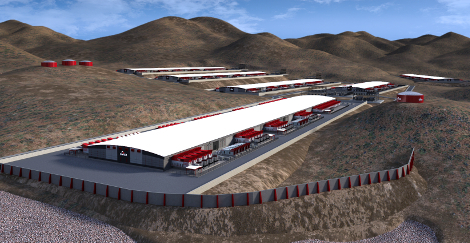 SuperNap 9 and the previously certified SuperNap 8 facilities on Switch’s four-data center Las Vegas campus are two of about 30 constructed data centers in the world to have received Tier IV certification. Most of those certified facilities are single-user enterprise data centers, not multi-tenant colocation facilities like the SuperNaps. Tier IV is the highest certification level in Uptime’s four-tier rating system for data center infrastructure reliability, and the certifications, which require a lengthy and expensive facility examination by Uptime, have been a big part of Switch’s marketing strategy. Until last year, Switch focused on the Las Vegas market, expanding its campus there and attracting many big-name customers, such as eBay, Google, Amazon, Intel, HP, and Boeing, among others. But last year it went into expansion mode, announcing large construction projects in Reno, Nevada, and Grand Rapids, Michigan, as well as overseas, in Italy and Thailand. Switch said its future data center outside of Reno, where eBay will be the anchor tenant, will be the world’s largest. The first building on campus will be 1.2 million square feet in size and provide 150MW of power capacity and 82,000 tons of cooling. The Reno data center will neighbor the Tesla battery plant there and a big and expanding Apple data center campus. Also last year, the company started investing in renewable energy for its data centers, making a commitment to powering its entire footprint with clean energy. Those efforts started with two solar energy contracts in Nevada, totaling 180MW.